129 results found for "needs assessment"
To better understand the information needs of emergency decision makers in the immediate aftermath of a disaster, ACAPS has collected and analysed information needs from different organizations to improve information about needs being made available to emergency decision makers within the first days of a crisis. For the past several years, ACAPS has assisted the development and application of severity measures. The assistance was provided in the shape of analytic tools, personnel on mission as well as remote statistical support. This note builds on key lessons from past needs assessments and recommends good practices for how to measure severity for future ones. It discusses two dominant types of severity measures, illustrated with the measurement efforts that the humanitarian community undertook in two major theaters: sectoral persons-in-need estimates combined with severity ratings (2016 Syria Humanitarian Needs Overview), and non-sectoral indices combining vulnerability, exposure and intensity indicators (2015 earthquakes in Nepal). It demonstrates specific improvements in both types. In 2015, ACAPS undertook a review of 105 multisectoral coordinated needs assessment (CNA) reports released over the previous ten years. 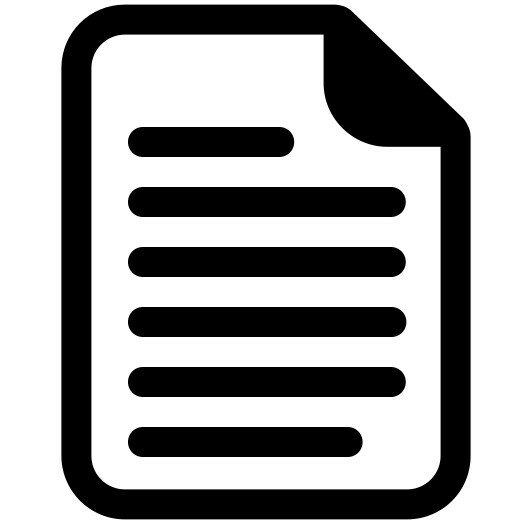 The objective of this document was to determine trends in reporting relevance and methods, and to identify factors that influence the completeness and speed of reporting. More and more quantitative data are available as pre-crisis or in crisis information and very little is known about how they can more effectively be used by assessment practitioners for better humanitarian targeting. This document provides practical guidance on the use of composite measures in the context of rapid assessment. This note investigates how to construct and use the severity and priority scales. This summary provides an overview of the basic rules to build an effective questionnaire. It is divided into three parts: purpose and principles of questionnaire design, the ten steps of designing a questionnaire and a set of do’s. This technical brief aims to support the design of questionnaires for use in humanitarian emergencies by providing a set of guiding principles and a step-by-step process. This technical brief breaks down the analysis process into simple steps to show that analysis consists of a fairly limited set of basic moves. A rapid needs assessment was carried out from mid-­‐November to mid-­December 2013 in Dar’a Governorate and covered a population of 692,000 people across 12 of the 17 sub-­districts. This thematic report provides an overview of available lessons identified from assessments undertaken concerning the humanitarian situation in Syria as well as the situation for Syrian refugees in host-countries. This report is based on conversations with individuals from different organisations working in the region. The document does not intend to provide a comprehensive list of all the issues that should be taken into account while conducting an assessment, but rather provides a starting point for organisations planning an assessment in Syria or the host countries. For more guidance on how to conduct an assessment please see the key resources at the end of this report. This note offers guidance for writing the methodology section of rapid needs assessment reports. It also enumerates good practices in documenting the databases that the assessment team leaves behind for its principals, successors and other interested parties. The objective of this technical brief is to provide guidance on how you could assess the quality of information used as evidence for decision-making during humanitarian needs assessments. It aims to assist analysts in understanding the distinction between sources and information, assessing the quality of different data types (primary and secondary data), and using appropriate criteria for judging information generated through quantitative or qualitative research methods. At the beginning of April 2015, ACAPS conducted a phone based, multi-sectoral assessment of KIs in all 15 counties of Liberia. The objective of the assessment was to identify the main problems faced by communities, and how their needs differ from the pre-Ebola situation. The assessment intends to inform the ongoing discussions on early recovery and strategic decision making on sustainable development. The number of new Ebola infections in Sierra Leone is declining, despite the outbreak continuing to claim lives. New cases have dropped to around 9-12 per week, according to recent WHO figures. There were over 500 cases per week at the height of the crisis around late November 2014. The impact on the lives of the thousands of people directly affected by the disease has been devastating. It has caused substantial suffering to many others, leaving the population very vulnerable. No recent assessment has evaluated and compared the status of populations in areas with high, medium and low exposure to Ebola. In this report, we refer to low, medium or high exposure areas based on the proportion of Ebola cases up to January 2015, compared to the 2014 population projections for those areas. Low Ebola exposure areas are districts in which the proportion of EVD cases compared to the population is between 0.01% and 0.10%. Medium Ebola exposure districts are defined as districts in which the proportion ranges from 0.11% to 0.20%. High exposure districts are districts in which the proportion of EVD cases is between 0.21% and 0.52%. The Ebola Needs Analysis Project (ENAP) assessment was designed as a probability sample survey, conducted with 188 KIs from 59 chiefdoms and wards. The aim was to analyse the impact of the Ebola crisis from a multi-sectoral perspective. This Brief provides guidance on carrying out joint rapid assessments of humanitarian needs in urban environments within the first weeks of a disaster. Organisations can useit to ensure that joint assessments are carried out appropriately in urban areas, and to update their assessment practice. With “Can severity profiles offer an alternative to persons-in-need estimates? An experiment with data from Syria”, ACAPS contributes to the discussion of how best to profile persons affected by disasters and crises. A statistical technique known as “Latent Profile Analysis” is used to link causal indicators to sectoral severity ratings when useful persons-in-need estimates are not available. With data on almost 5,000 localities in Syria, six profiles are estimated, each with levels of severity and a particular causal signature. Such groupings of affected communities may be more informative to response planners than mere one-dimensional rankings. The computer simulation was part of a larger study of data management and data analysis in Phase 1 and 2 assessments. Twelve models were run, varying three parameters: sample size, logistical difficulty and level of measurement error. What are the actual impact and priority needs after a cyclone? Based on experience and lessons learned from medium and large scale tropical cyclones that have occurred in the past this document answers these questions. Not all disasters have the same impact or affect the population in the same way. This document focuses on impact and priority needs in floods context. This study aims at reviewing how needs are presented and analysed in 18 Appeals (Initial and Revised) of nine major crises over the past three years in order to identify best practices and major shortcomings for improving the development of future Flash Appeals. This disaster summary sheet (DSS) provides a general profile of the potential impact of an armed conflict. The DSS helps understanding what the actual impact and priority needs during an armed crisis may be, based on experience and lessons learnt from previous crises. In social research and in needs assessments, subjective measures have become increasingly popular. Although less well regarded than their so-called objective counterparts, in many situations they perform as well or better. There is scope for their greater application in humanitarian assessments and data analysis. This new ACAPS study provides guidance and demonstrates specific applications. Three tools are discussed in detail – ladders and scales, anchoring vignettes, and hypothetical questions. Case studies detail useful applications for each of them. Sidebars shine lights on related subjects such as the measurement of multidimensional deprivation and subjective measures at the community level. The study appeals to generic data analysts as well as to sectoral needs assessment specialists. How to maximize observation and gather information on: who are the most affected, where are they and what are their key priority needs. A scenario projects alternative ways in which a situation might evolve. It is a set of informed assumptions about a situation that may require humanitarian action. Building scenarios involves speculating about an uncertain future and envisaging different possible outcomes for a given initial situation. When applied to the framework of a needs assessment, scenarios are used to plan for possible future humanitarian crises and needs. This paper reports the results of a study undertaken during 2012 by Tufts University for the Assessment Capacities Project ACAPS, as part of the latter’s “Operational Learning” strand of work. This study is designed to complement the work of ACAPS on strengthening needs assessment by addressing the question of how assessments and other sources of information and analysis are used by humanitarian decision makers. The study is based on a combination of literature review, case studies, and key informant interviews. Collection, collation, analysis, and synthesis of qualitative and quantitative information, gathered and analysed using appropriate sources, tools, and methods is the cornerstone of rapid needs assessments that allows decision makers to plan a timely, appropriate, and coordinated emergency response. The world’s first Humanitarian Summit is only a few days away and we are all finalising statements and commitments. There are very divergent opinions on what can be achieved in Istanbul, and a few key actors have chosen to stay away, but most of us are going, oscillating between careful optimism and predictable pessimism. The discussion on how to improve needs assessments has been high on the humanitarian policy agenda for the past 5-6 years, and some progress has been made. The issue has also been a key element in discussions leading up to the summit. Needs assessment was one of ten issues addressed in the so-called “Grand Bargain”, where donors, agencies and some NGO representatives together have aimed to tackle some of the most difficult issues facing the sector. The grand bargain has been quite an exclusive discussion, with only the heaviest players in the room, and the discussion on needs assessment has been characterised by stark disagreement. It has therefore been fascinating to follow the proceedings from ringside. On the surface, it can be hard to find the root of the disagreement, among the many different opinions and confusion with respect to language, etc. ACAPS position can be found in this short document, where we outline our vision for the “assessment ecosystem”. 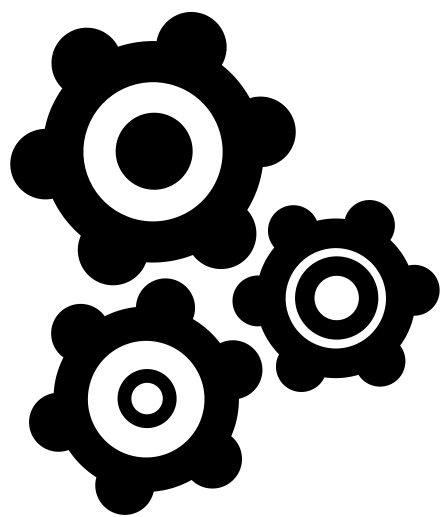 At the core of the discussion lies a fundamental disagreement over whether assessment and analysis are best done through a centralised or a distributed process. Compare the first commitment from the Grand Bargain, with the recommendation from a recent report from the International Development Committee (IDC) of the UK’s House of Commons. These two visions are not compatible. The Grand Bargain emphasises that we need to pull everybody closer together to be more effective and reduce the number of assessments. The IDC makes the opposite point, and argues that forcing everybody to work off the same assessment creates problem in with lack of checks and balances. Having worked with the subject matter for the past six years my opinion is very clear: it is naïve and arrogant to pretend that the humanitarian sector is the only sector in the world that will not benefit from stronger checks and balances. I have seen numerous examples of assessments distorted by groupthink (how well did we assess Ebola?) and more or less sinister agency bias. These have made us make the wrong decisions and have moved us away from a needs-based assessment. As a sector with scarce resources we cannot afford this. Most important, this is not a technical problem, but a political problem. As such, it can only be addressed by constructing a system where a biased assessment is confronted with an alternative narrative, not by coming up with a new assessment methodology. The Grand Bargain does have good and constructive elements. However, with respect to assessments, it is depressing to see that negotiations among the most important and powerful leaders in the humanitarian sector have yielded a result, which will not move us forward, and will most probably will move us backward. Paradoxically, the Grand Bargain’s take on assessment is itself the best argument in favour of second opinions in the humanitarian sector, second opinions that will hold us to account and get the right solutions on the table. This report aims to provide an overview of the impact of the hurricanes Irma and Maria in the Caribbean. For the purposes of this report, the focus is limited to the following seven countries: Anguilla, Antigua and Barbuda, The Bahamas, British Virgin Islands, Dominica, Sint Maarten, and Turks and Caicos Islands. All, except Sint Maarten, are Members of CARICOM. The depth of the report also reflects the limited availability of data, which in turn means that figures and information need to be updated in the future. The current data were based on the Post-Disaster Needs Assessments (PDNAs) conducted in Antigua and Barbuda and in Dominica and by other available sources. These are all listed in the Reference section. A rapid nutrition assessment conducted in 2014 found a global acute malnutrition (GAM) rate of 7.2% and a severe acute malnutrition (SAM) rate of 2.3% among the displaced population.? In 2016, an estimated three million children and pregnant and lactating women are in need of nutritional support.? The nutritional situation is worst in hard-to-reach and besieged areas, where lack of access hinders nutrition services and causes food shortages. Several deaths due to starvation have been recorded in besieged areas.? The nutritional situation was already poor before the crisis: in 2009, the nationwide GAM rate was 9%, and the rate of stunting 23%.? Burundi is one of the 15 crises analysed in this report. There continues to be an urgent need to rehabilitate core WASH infrastructure in Libya, particularly with regards to waste water management. As of February 2016, damage and destruction of the sewerage system have been reported. On 24 July, high amounts of rainfall (between 100-200mm at various locations) caused heavy flooding in some parts of Senegal. The districts Kaffrine and Kolda (central and south Senegal) have reportedly been the heaviest affected, with Kaolack and Matam also receiving above average rainfall. Throughout Kaffrine district some 1,500 houses have been destroyed and 7,500 people affected. Because no independent assessment has been carried out yet the actual amount of damage and sectoral needs are not yet known. The number of people potentially at risk throughout the 2016 flood season is estimated at 210,000. As an analyst of humanitarian crises, I see a lot of numbers – of people affected, in need of assistance, targeted, reached, and more. Numbers, as the focal points of infographics, charts, maps, tables, and videos have become the lingua franca of the humanitarian system. Less words, more visuals. Numbers, of course, play an important role and it is hard to deny that data visualisations are often powerful. But sometimes, numbers are not as objective as they seem, and can even be misleading, contributing to poor decision making, rather than improving it. As organisations rush to present information on humanitarian situations concisely and effectively to busy responders, decision makers and donors, there is a real risk of oversimplifying complex contexts that warrant deeper analysis. Food security in Niger is a case in point. Humanitarian organisations engaged in the fight against hunger and malnutrition in Niger regularly point to the number of “food insecure” people as evidence of the scale of the emergency. But what does that number really mean? 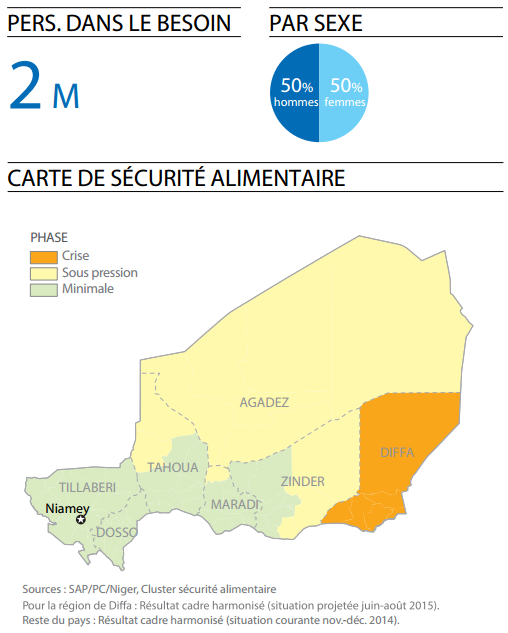 In November 2015, the Humanitarian Needs Overview and Humanitarian Response Plan indicated that two million food insecure people in Niger were in need of assistance, out of 2.5 million affected. By April 2016, this OCHA infographic reported 2.5 million food insecure people, without further clarification. Based on the numbers alone, we can’t unequivocally say if things are worse, better, or the same as six months earlier. Nevertheless, contextual analysis could justify a deteriorating trend: many households in Niger face depleting food stocks around April/May as they enter the lean season. But then OCHA’s head again used the two million figure in press releases and media reports during his visit to Niger in May. There might well be a plausible reason, but not all busy decision makers will have time to find it out. Of course, big numbers draw attention, but out of context, they can also cause confusion, reducing the credibility of the reports that use them and the quality of the decisions that are based on them. One reason why numbers vary is because different agencies use different methodologies and different definitions. But they don’t always tell us this. Presenting results without clearly outlining the methods behind them is problematic. Despite initiatives like the Integrated Phase Classification, which aims at harmonising ambiguous concepts like “food insecurity” and the methods behind them, inconsistencies remain in terms of how terminology is used across contexts and organisations. 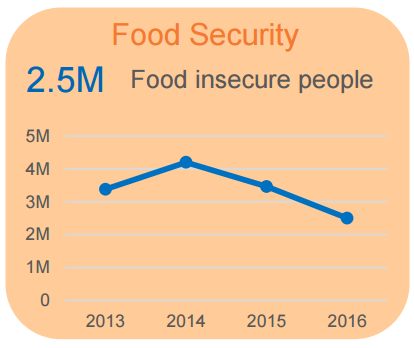 When OCHA was talking about 2–2.5 million food insecure people in Niger in April, the March Cadre Harmonisé assessment categorised the food security of 3.5 million people as IPC Phase 2 (Stressed), and another 480,000 people as IPC Phases 3–5 (Crisis to Famine). Depending on your interpretation of these and other reports (WFP, FAO, FEWSNET, Afrique Verte), we could say anywhere between 480,000 and 3.5 million people were “food insecure” in March/April in Niger. Whichever number donors choose to believe has direct implications on the funding of food assistance to those in need. You can’t feed 3.5 million people if you don’t budget for them. Producers: What exactly do I mean by the terms “food insecure, people in need, or affected”? All terms need a definition, the clearer the better. Consumers: Where do the numbers I’m reading come from – an assessment, secondary report, or thin air? And assuming one of the former, what were the study’s methods, and its limitations? Ultimately, we need more clarity about what is being counted, and how. With a little more diligence in reporting, we will improve our shared understanding of crises, and the decisions made to help those in need of assistance. Syria is one of the 15 crises analysed in this report. In total, 240,300 people are estimated to be in need of shelter assistance.?? Almost 50% of Myanmar’s IDP shelters do not meet minimum humanitarian requirements.? The situation is most pressing among Rohingya IDPs in Rakhine, and IDPs in Kayin, Kachin and Shan. The rainy season and consequent flooding damaged thousands of homes each year.?? Among protracted IDPs in Kachin and northern Shan, around 66% had their shelter needs covered in 2011–2012. However, the shelters built during those years have fallen into disrepair and do not meet minimum standards in terms of size, structural safety, and durability.? Displaced Rohingya in Rakhine have been living in temporary shelters for over three years, without proper maintenance. The shelters, however, were designed to only last two years.??? Urban migration is set to increase, but Myanmar’s few cities are ill-prepared for this influx. Currently, 700,000 people already live in Yangon’s slums of Hlaing Tharyar. Shelters are poor, with bamboo huts and overcrowding. Slum dwellers are often evicted by the government or entire settlements are bulldozed.? The need for humanitarian response has escalated in Nigeria in recent years. When trying to make sense of this crisis, we often experienced difficulties in obtaining accurate insight. The information analysis gap was evident, as was the need for ACAPS to get additional input. Shirley Igbinedion – based in Maiduguri, Nigeria – started working with us in October 2016 as information analyst. Since then, both the quality and quantity of our content on the Nigerian crisis has rapidly improved. 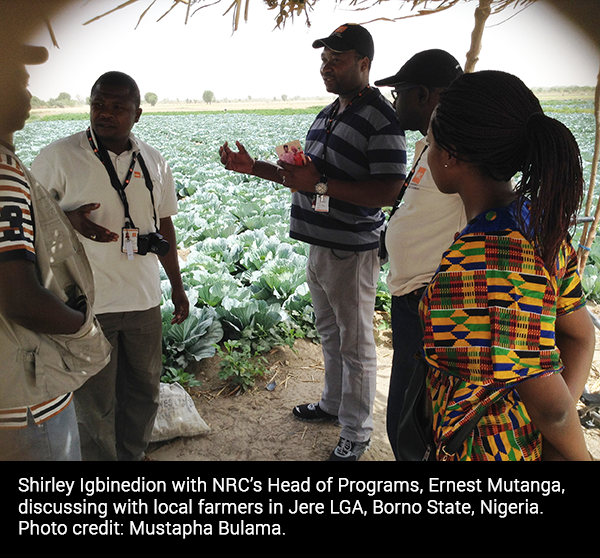 “Shirley is able to speak with actors in the field, visit relevant sites herself, attend local trainings and meetings, and gain a sense of the environment,” explains Daniel Sneddon, ACAPS information analyst co-working with Shirley from Geneva in monitoring and updating the Nigerian crisis profile. The independence that ACAPS provides, together with Shirley’s additional in-field information and her sole focus on Nigeria, makes ACAPS’ products unique. “It is very useful to be cross-checking my information with Shirley to determine the reliability of other sources and check what extra information she might have,” Daniel states. What is the best piece of work you have co-produced for ACAPS? What is the most difficult piece of work you have co-produced for ACAPS? What is the major contribution of ACAPS work? What are the sectors that need further analysis? Shirley holds an MSc in Clinical Psychology from the University of Jos in Nigeria and a BA in Psychology from the United States International University in Kenya. She worked as a reporter and gained valuable experience within communications, research, and the health development sector. Daniel holds a Masters in Biomedical Engineering from the University of Melbourne in Australia and has gained a breadth of research, data analysis, policy writing and management experience with the World Health Organization in Geneva, the United Nations Office for the Coordination of Humanitarian Affairs in New York and Engineers without Borders Australia. The hurricane had a major negative impact on livelihoods, infrastructure and roads. Widespread damage to subsistence production increases the reliance of households on markets for basic needs. At the same time, essential movement of money and goods has been severely constrained, with some departments cut off from the capital, resulting in localised shortages of basic items and price increases. Households in Haiti were struggling to recover from several years of drought and the consequences of the 2010 earthquake. High levels of inflation, limited government support, and continued erosion of livelihood opportunities are some of the main challenges. Markets in Haiti have shown to bounce back relatively quickly after sudden-onset events. Market-based responses, including cash-based programming, which also helps restore market functionality, have proven to be a feasible option to consider over in-kind assistance. However, there is currently insufficient information available in the public domain to inform decisions on the most appropriate interventions beyond the immediate response phase. Rapid remote assessments on the functionality of markets, availability of goods and price data (food and non-food items) is required. Hundreds of thousands of people living in major cities are at high risk of death or serious injury due to explosive remnants of war (ERW) and unexploded ordnance (UXO). Pre-crisis, the urban unemployed, landless labourers, and rural families were the most vulnerable to food insecurity. There is an increased proportion of lost documentation reported as of 16 February 2016 compared to the previous year: 90% up from 59% in the West and 88% as up from 72% in the East. That there are gaps in the information landscape, particularly on irregular migration and smuggling, is clear. Too seldom are migration actors able to pin down the exact number of people on the move at a given time, clarify their current and future migration intentions, accurately break down demographics and highlight vulnerable groups, and identify gaps in critical service provision. Generating new data, however, is not the only way to fill these gaps: a lot can be learned through better sharing and analysis of the information that already exists, albeit scattered across a range of actors. This blog post aims to generate further discussion on how data sharing can improve the collective understanding of migration, touching on some key issues including: the information sources available, the challenges inhibiting better analysis and some good practices. The primary sources of data on admissions, readmissions, returns and reintegration are typically held within the domain of supra-national, national and sub-national authorities. Border, law enforcement and immigration agencies collect data on a wide range of metrics relating to in- and out-flows, and the legal status of those involved. Municipalities collect data on the need for health, education, transportation, sanitation, solid waste and other services. Sometimes voluntarily, and other times due to international obligations, states make some or all of these metrics public, either through their own national statistical offices, via international and regional organisations, such as the OECD and Eurostat, or through collaborative networks such as the European Migration Network. In the context of large-scale migration and displacement flows, such as those seen from the Middle East to Europe in 2015-16, states may also delegate emergency response roles to the international community, comprised of UN agencies, the Red Cross/Red Crescent, and international NGOs. These bodies collect, organise and often disseminate vast quantities of data on arrivals and registrations, flows, people in need of assistance, and other indicators. Local civil society groups and smaller NGOs generate still more data from their own programmes, which they then use to improve their own efforts, or to lobby other actors, including local and national governments as well as INGOs. Academics, think tanks, investigative journalists and other researchers not only analyse the above data sources, but often generate their own quantitative and qualitative datasets, both on a micro-level and on a larger scale. Furthermore, researchers often benefit from a level of neutrality and trust that allows them access to certain key stakeholders, such as smugglers and irregular migrants, that may be hesitant to interact with other, mandated, actors. In addition, a growing body of practically focused studies aim to enrich understandings of migration and displacement, by analysing the thought processes and perspectives of people on the move, or considering moving, such as Ground Truth Solutions’ perception studies and IOM’s flows analysis. Big data analysis taps into information refugees and other migrants generate by their actions and communications, for example on social media. Used appropriately, big data can serve as a rich source of information on the movement patterns, needs and access to services of refugees and other migrants, while engaging with social media enhances two-way communication with communities. The range of actors generating data on migration raises the question of how information can be shared in a way that enrichens our collective understanding and ability to respond, without jeopardising the safety and privacy of those involved. However, to grasp the potential for more collaborative approaches to data sharing between actors with such diverse mandates and motives, we must first recognise the challenges to deeper cooperation that need to be overcome. What are the challenges to better data sharing? One challenge is the lack of cooperation between states, particularly along key migration routes. While destination countries benefit from knowing more about migration flows, origin and transit countries do not always have the capacity or interest in providing more information on outflows and throughflows. For example, a lack of information sharing had inhibited earlier efforts to analyse and respond to the needs of people on the move from Turkey to Greece in 2015, although an agreement was eventually reached in early 2016 on a joint EU-Turkey data collection process. Even when destination countries invest in data capacities in transit and origin countries, they are often interested in asking questions to inform their own policies, and not necessarily those of transit countries. Even within multinational blocs, such as the EU, data sharing on migration is far from a given. In October 2015, the European Council managed to establish an Integrated Political Crisis Response mechanism for data sharing but only after serious mistakes had been made, such as Frontex’s double counting some 710,000 migrants who entered the EU, first via Greece, and then EU countries north of the Balkans some days or weeks later. A related challenge to more open data sharing on migration is the political sensitivity of the data. Large numbers of arrivals, for example, can be interpreted as a reason to limit further immigration. Small numbers can be cited to deprioritise assistance. The political temptation to manipulate such data is rife. Italian authorities were accused of withholding data on the number of people it rescued at sea in the months leading up to the 2016 referendum. Similarly, the Greek government has consistently maintained that around 62,000 refugees are present in Greece, in order to justify continued emergency funding from the EU, despite the humanitarian community, including UNHCR, counting some 13,000 less. Security interests also limit data sharing, at times detrimentally. Law enforcement agencies operating within a security focused framework are not inclined to share their data to avoid jeopardising operations, which leaves potentially useful information out of reach of protection actors. Divergent definitions and a lack of comparability further constrain the potential for more open data sharing. The parameters of blurred concepts like smuggling and trafficking can vary between countries and organisations. Even key terms, such as the definition of a migrant, is measured in multiple ways, such as country of birth, nationality, or length of stay. Although guidance is slowly emerging, a lack and capacity on what to collect, how to analyse it, and how to translate findings into useful material for decision making, leads to overlap and gaps in actionable evidence for response. Despite the multiple challenges, there are also opportunities to improve data sharing and cooperation, and a growing set of good practices on which to build. International organisations and NGOs have been leading in this field, establishing spaces to facilitate data sharing and analysis. IOM, for example, has established the Global Migration Data Analysis Centre, which is compiling a global migration data portal, and providing guidance on innovative migration data analysis approaches. Humanitarian agencies are increasingly maintaining data portals, needs assessment registries and common datasets. A good example is the Humanitarian Data Exchange, which aims to build up a common repository of information available for deeper analysis of displacement and other humanitarian crises. Other agencies are making use of their unique access to people on the move to create new, more targeted information and share it publically. 4Mi not only collect data on migration flows in hard to reach areas, but also make that data available in user-friendly platforms to encourage deeper research and analysis. IOM’s Displacement Tracking Matrix captures, processes and disseminates information about displacement and population mobility. In addition to collecting, compiling and sharing useful data, more initiatives are prioritising analysis of the information that is already available, including ACAPS, whose analytical tools and products help make sense of information in emergencies for decision makers. Some NGOs are also combining analytical capacities to avoid duplication and fill information gaps: The Mixed Migration Platform itself is an example of NGOs combining their skills to help bridge humanitarian operations with academia and policy makers concerned about complex migration dynamics and the protection of people on the move. Even states and their law enforcement agencies are opening up in the face of significant pressure for more transparency on migration-related data, as evidenced by Frontex making some its datasets available for public analysis. Social media companies are finding new ways to make use of their immense data to map disaster-induced displacement and migration patterns, as demonstrated by Facebook’s latest collaboration with UNICEF, IFRC, and WFP. The general trend towards data sharing, while necessary, does not come without risks. Some of the same challenges that hamper deeper coordination between actors with divergent interests, also explain the reluctance to cooperate more openly. Law enforcement agencies are primarily concerned with preventing and stopping irregular migration. But humanitarian organisations often see these objectives as contrary to their own goals of protecting and assisting people on the move. While there is room for more trust between partners, particularly since states have committed to principles of data protection and privacy in the Global Compact on Migration, deeper cooperation and sharing ought to nonetheless be approached with caution. As outlined by data ethicist, Linnet Taylor, rather than producing knowledge for knowledge’s sake, knowledge production should be clearly tied to a theory of change that connects the data activity to the ultimate goal of refugee and migrant protection. So long as we bear this sage advice in mind, further steps towards data sharing and analysis should be explored, before diving into new forms of data collection. This article was originally published on Mixed Migration Platform's website. 400,000 Libyans are estimated to be food-insecure, with the most severe cases reported in Benghazi and in the south. As of November 2015, 9.2 million people are in need of livelihood support.?? When wheat and barley are harvested in May/June, the government buys it at above-average prices, providing a major boost to farmers. WASH: Access to safe drinking water for human and livestock consumption is limited. Communities depend for the most part on unsafe rainwater or groundwater for drinking. These terms and conditions (together with the Privacy Notice and Copyright Policy) outline the terms and conditions on which you may make use of our website www.acaps.org (our Site), whether as a visitor, guest or a registered user. Use of our Site includes accessing, browsing, or registering to use our Site. Education for Libyan nationals is free and compulsory starting at 6 years of age. For migrant children access to education is neither free nor compulsory, with fees reaching up to USD 2,000 per child per year. Prior to the 2011 revolution, state-run healthcare facilities provided services free of charge in most areas of the country, and foreign workers composed approximately 60% of medical personnel.